Saturday, March 19th West Hartford Town Hall - 50 South Main Street. Parking: Free parking will be provided at the Town Hall outdoor lot, 50 South Main Street, West Hartford. Celebrate this St. Patrick's Day in "Style" while benefiting 3 non-profit Children's Organizations!! Come out to run, walk, push strollers or just be festive with family & friends. Bagpipers will send you off and welcome you home. There will be a raffle, prizes for best Irish garb, face painting, Irish music, Irish dancing and much more. An after-party will be hosted by Rizzuto's Restaurant & Bar, 111 Memorial Rd, West Hartford (Blue Back Square). 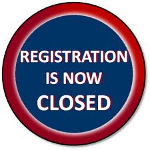 Online registration is now closed but you can still register at the event tomorrow at 50 South Main Street, West Hartford. Cash & Check only accepted.